In addition to the study of individual proteins, the structure of larger intracellular components is of critical importance in understanding biological processes. As with proteins, the function of these structures is linked to their morphology, however, they can be studied with a much broader range of techniques due to their larger size. 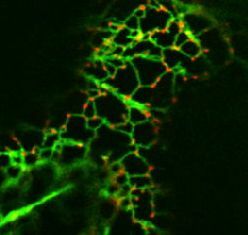 Combining a variety of techniques from across disciplines allows a fuller picture of how the structure of part of the cell can influence its function.